1. From world champion to chess player: Magnus Carlsen annotates his win against Michael Adams. 2. Sicilian pearl from Wijk: Fabiano Caruana demonstrates how he outplayed van Wely. 3. 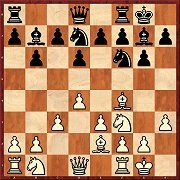 Simple but effective: Sergei Tiviakov introduces 2.d3 as a weapon against the Caro-Kann (video). 4. Tactics are not just about attacking – in Oliver Reeh’s video the focus is on a Saving Defensive Idea. 5. Active against 1.d4: Valeri Bronznik reveals to you the subtleties of the Chigorin Defence (1.d4 d5 2.c4 Nc6). 6. 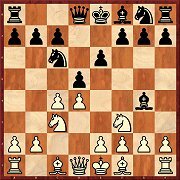 In Rubinstein’s footsteps: Robert Ris presents a surprise weapon against the Blumenfeld Gambit. 8. Promoted in Wijk thanks to a smashing move: Adhiban shows his spectacular victory over Abasov. 9. Getting to know Wei Yi: piece sacrifice, attack, mate. Daniel King demonstrates the attack on the king by the Chinese super-talent against David Navara. 10. 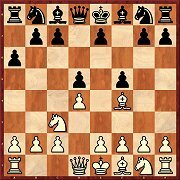 Knight or bishop – which is the better blockader? Mihail Marin widens your knowledge about the subject of the "Blockade". In the closing third part of his series on White’s double fianchetto Mihail Marin examines positions in which Black has played ...d5 so as to exchange on c4 immediately. As in Parts 1 and 2 White does not always get an advantage, but he usually does get the more pleasant game. With 5.Rb1 White has in mind above all the advance b2-b4, but he is also delaying the development of his Ng1. 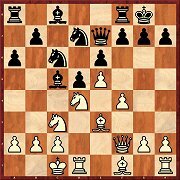 Boris Schipkov recommends 5...Nf6. After that Black can set about matters on the kingside (...Nh5, ...f5) or possibly get his d-pawn to d5 in a single move. 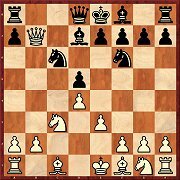 From White’s point of view, this setup constitutes a universal weapon against the Grünfeld Defence and above all the King’s Indian – very popular amongst those not keen on learning a lot of theory. Our author Krisztian Szabo considers the subject above all from Black’s point of view. 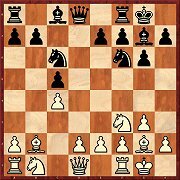 With his suggestion for Black (2...d5) Viktor Moskalenko is proposing a setup based above all on the fact that the Nc3 then occupies an unfavourable position. 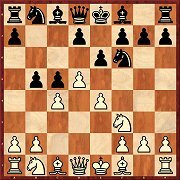 In Part 1 (3.Bf4) 3...a6 prepares a rapid ...c5. In his closing part Daniel Gormally examines the remaining plans on Black’s 7th move, above all 7...g6 and 7...f6. White must be prepared to sacrifice a pawn quickly. Things usually become very sharp, however positional struggles are in no way excluded. In the 11.Qf2 Qe7 variation a lot has been happening in recent years and Hannes Langrock can see good reasons for re-examining it after his article in CBM 136. The German author considers the variation to be very playable and considers it “on an upward path as far as popularity is concerned”. The game Svidler-Vallejo Pons, Reykjavik 2015, came as a great surprise for Igor Stohl, because it involved the employment of the Exchange Variation of the Grünfeld Defence by White. But the Spanish player demonstrated that White cannot generate an advantage from his extra tempo. 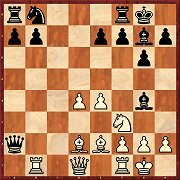 With his book “Chigorin Defence” (Schachverlag Kania 2001, 2nd edition 2005) Valeri Bronznik wrote the standard work on this opening. In the first part of his article for ChessBase Magazine he deals with lines in which the bishop is developed to f4. 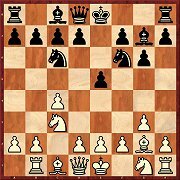 White’s move order (3.Nc3 Nf6 4.e3) is actually based on the fact that 4...Bf5 is not so good on account of the attack on d5 und b7. But Alexey Kuzmin shows in his article that the pawn sacrifice is “absolutely correct”. 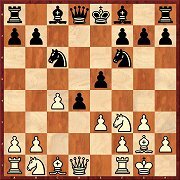 The move order after 8.Rb1 and especially 12...Bg4 is seen as a safe equalising continuation for Black. Many lines have even been almost completely analysed to a finish and have a high drawing ratio. In his article Michal Krasenkow offers a repertoire for Black. Conquering the centre with 5...d5 has of course a certain appeal. 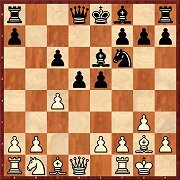 But although Black can equalise in the position in the diagram (only with 9...Be7), Evgeny Postny sees some practical difficulties for the second player. Until now the question was whether accepting the pawn sacrifice with 5.dxe6 fxe6 6.cxb5 or with 5.Bg5 offers White the better chances of an advantage. 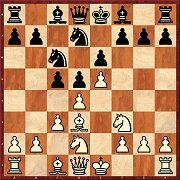 For those players who do not have a ready answer, Robert Ris suggests the move 5.e4. White now himself plays a gambit – with good chances of an advantage!